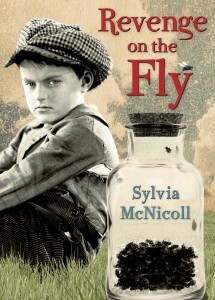 “In veteran children’s author Sylvia McNicoll’s new book, grief and anger are the overriding emotions 12-year-old Will Alton feels over the loss of his baby sister and mother to illness in the family’s native Ireland, even as he and his father embark on a fresh start in 1912 Hamilton, Ontario. When Dr. Roberts, Hamilton’s health officer, visits Will’s new school to speak about the role of flies in the transmission of disease, and to announce an essay and fly-killing contest (“You can be a hero to your city, vanquish disease, and win great prizes too”), Will is eager to win. As determined as Will is to kill “the miserable creatures that had caused my family so much grief” and win $50 to help his father find them a new home (away from the rooming house of the vile Madame Depieu), hostile classmate Fred Leckie is just as relentless. Worse still, Fred has the advantage of being wealthy enough to bribe others to do the work for him, and a father with a factory of workers whom he compels to help his cause. Fortunately Will is tireless, clever, and goodhearted, attributes that are always valuable when facing challenges. 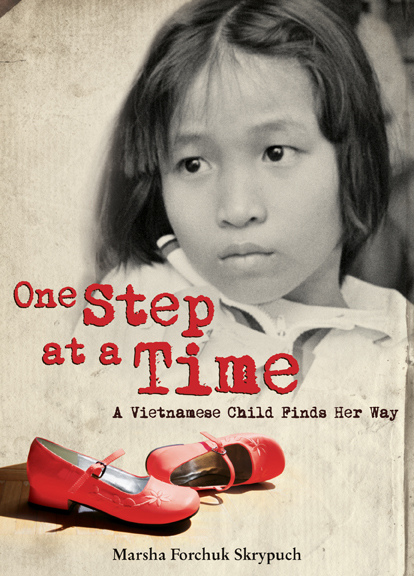 Pajama Press is proud to announce that One Step at a Time: A Vietnamese Child Finds Her Way by Marsha Forchuk Skrypuch has won the Silver Birch Non-Fiction Book Award™ at today’s Festival of Trees in Toronto. 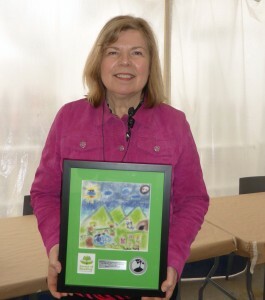 The longest-running award in the Ontario Library Association’s Forest of Reading® program, the Silver Birch Award is celebrating its 20th anniversary this year. One Step at a Time is the companion book to Last Airlift: A Vietnamese Orphan’s Rescue from War, which was an honour book for the Red Maple Non-Fiction Award™ last year. Last Airlift has also won the Red Cedar Information Book Award and been a Top-5 Finalist for the CYBILS Award, a Cooperative Children’s Book Center Choice, and a Bank Street Best Book. One Step at a Time was also a finalist for the Children’s Literature Roundtables of Canada Information Book Award, a Canadian Children’s Book Centre Best Books for Kids & Teens starred selection, and a Bank Street Best Book. This is the second year in a row that a Pajama Press book has won the Silver Birch Non-Fiction Award™. Last year Rob Laidlaw’s No Shelter Here: Making the World a Kinder Place for Dogs took home that honour. This year two other Pajama Press books were nominated for the Forest of Reading®: A Good Trade by Alma Fullerton and Karen Patkau for the Blue Spruce Award™, and Nix Minus One by Jill MacLean for the White Pine Fiction Award™. The Forest of Reading® is a children’s choice reading program run by the Ontario Library Association. Each year, over 250,000 participants read a shortlist of books in their age category and vote for their favourites. Pajama Press is honoured to be a part of this important program, which brings excellent Canadian literature to more children than any other reading program in the country. 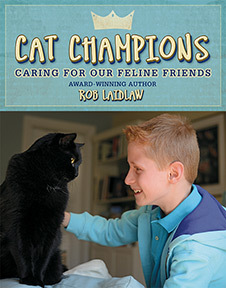 Pajama Press extends its heartfelt congratulations to Rob Laidlaw, whose book Cat Champions: Caring for our Feline Friends has been nominated for the 2014–2015 Red Cedar Book Award. A young reader’s choice book program for the province of British Columbia, the Red Cedar Book Award encourages thousands of children between grades 4 and 7 to read a shortlist of fiction and non-fiction books, and to vote for their favourites. The 2014–2015 list will be officially launched in November 2014, and the vote will take place in April, 2015. Author Rob Laidlaw is no stranger to children’s choice reading programs. Cat Champions has also been nominated for Atlantic Canada’s Hackmatack Children’s Choice Award and its companion book, No Shelter Here: Making the World a Kinder Place for Dogs, won the 2013 Ontario Library Association Forest of Reading Silver Birch Non-Fiction Award. No Shelter Here is also nominated for the 2013-2014 Hackmatack Award and the 2014–2015 Pennsylvania Young Reader’s Choice Award. Pajama Press is honoured to be a part of the Red Cedar program and many others. We salute all those involved in bringing kids together with excellent literature. “…In Revenge on the Fly, award-winning author Sylvia McNicoll breathes life into this little-known snippet of history. Through Will’s eyes we see, hear and smell his city; from its poor rooming houses to its grand mansions. Girls and boys, rich and poor, all enter the contest, pitting hardworking immigrants against the privileged few with all the prejudices, jealousies, and yearning attached to socio-economic disparity. Boys in particular will be fascinated by the uncountable ways one can swat, squish, pinch and vacuum up flies (not to mention some gruesome uses for manure). “…In general, the book is great for showing us a new perspective: look through the eyes of someone who was adopted as an older child. Look through the eyes of someone with a physical handicap. Look through the eyes of someone who doesn’t speak English. “Last Airlift won the non-fiction Red Cedar Club Award this year. All the students at Dickens who have read it enjoyed it immensely. I even have a couple creating a book trailer for it.